I am a Gamer. That can mean different things to people around the world, but to keep it simple, I have a deep love for video games. It is more than just a hobby for me. It is a form of therapy. It is a way for me to escape reality and unwind. The same can be said about books or movies. It is a healthy love. It is an appreciation for arts and not just mindless button mashing, as many outsiders might assume. Watching a movie at home or reading through a book, that's considered entertainment, for the most part. Watching your favorite sports team on television, also entertainment. Playing a favorite video game title? That goes beyond entertainment and takes on a different form. When I finish a book, I don’t feel accomplished. I feel like I read a book. Same goes with movies. Don’t get me wrong, I enjoy these things, but when I finish a video game, I get so much more out of it. I get a good story, good visuals, and not to mention the accomplishment. I have have a certain amount of control over what's going to happen next. Even if the narrative is set up to push me into a specific direction, I still have the feeling of control. This is my world now and I can do whatever I like here. That's the feeling that I get. Not every game I play is great. I have a lot of disappointments over the years. I’ve purchased my tickets for the hype train and found the ride was short lived. Sometimes, the best part of getting a new game isn’t even playing it, as much as it is the feeling I get before it finishes downloading. The ride home from a video game retailer or awaiting UPS to deliver a title to my door. Sometimes, that’s as far as the joy goes, but it's a great feeling nonetheless. I have days where I spend hours playing video games. Even if I didn’t have the opportunity to write about them and share my experiences, I would still be playing for hours on end. I also have times where I will go an entire week without so much as powering up my consoles and just have other things to do. Whether I have obligations that take precedence over gaming or I am struggling with depression, I am not glued to a seat and locked up indoors. 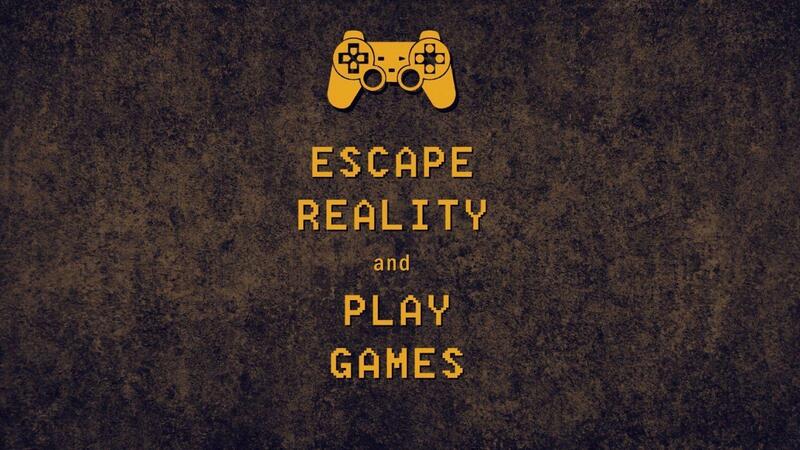 It goes without saying that yes, there is more to life than video games. It just so happens to be my favorite pastime. At the age of 38, I am not ashamed to say I am an avid gamer. No, I don’t live in my moms basement and i am not struggling to keep a job or pay my bills. Quite the opposite, actually. I completely own my house, that I paid for myself. I own a nice pickup truck and a brand new jeep. I also have a wonderful wife and I have children that I raise. I am not bragging and I am actually quite a humble person, but there is a need to point out that I am quite accomplished at my age. I am accomplished and I am a Gamer? Not really the typical stereotype that my gaming brethren has come to be subjected to. I hear that a lot of grown men and women are still living in the same house of their parents. That they are lazy and live on their folks dime. I can’t honestly say that I have met a fellow gamer that live by these standards. I know they exist somewhere, or else it wouldn’t be a stereotype, but I am pretty sure it is based on a fraction of the number of people that game out there. We the Gamers, are not the losers that we seem to be portrayed as. We are the everyday people that help operate world. Doctors, contractors, teachers, mechanics, parents and counselors. You could even call us “legion”, for we are many. At the end of the day, none of should be ashamed to admit that we like video games. We will always be ridiculed by someone, for something, but we need not allow these negatives opinions to affect our lives. I would never stop playing my games just because someone doesn’t understand what it's all about, and i hope you don’t either. No matter what your age, what life throws at you, keep that passion. It’s good to be a Gamer.